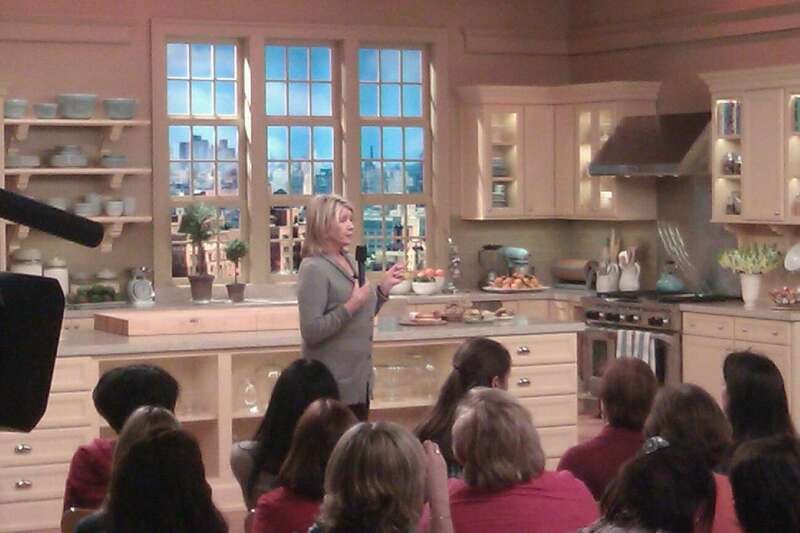 A few friends of mine and I went to see Martha Stewart in live action yesterday as guests in her studio audience. The topic was all about sandwiches. Being crushed for time, as usual, I was unable to eat anything beforehand. So, I get to the show feeling a bit drained and completely famished. It didn’t seem like a big deal, I figured I’ll just eat afterward. Um, yeah, huge mistake that turned out to be! As soon we walked onto the set, we see a 10 foot long club sandwich, with a wide array of selections like roast beef, ham & cheese, turkey, and even chickpea & fennel as a choice. Oh my gawd! And it was only the beginning! Usually her segments involve some craft work, but not this one. It was all about how to whip up these wonderful looking sandwiches or rather, sinwiches, like the French dip, made with an amazingly juicy cut of slow cooked beef. A tantalizing roast pork sandwich fragrant enough to drive a pack of starved wolves mad! Ooh, and this sandwich oozing with Fontina cheese from Murray’s and a couple of bacon strips (x marks the spot). The whole studio was perfumed with scents of heavenly lusciousness. I am off to the kitchen, all this sandwich talk is making me dizzy with hunger! It was a great experience. Thank you so much for the inspiration, Martha! Next show we’re hitting up is ABC’s “The Chew.” Yay, I can’t wait! You know, I thought about that too! At the end of the show, when we were allowed to take pictures and ask questions, this lady asked for a piece of that sandwich, and Martha was more than happy for her to have a very generous piece. I think it was more of a liability issue. You know what I mean? 🙂 Thanks for reading. Knowing the nature of Martha Stewart though, I am certain it went somewhere. She doesn’t believe in waste. Now that does look like a load of fun – bet it was hot behind all the lights! Bet also that the sinwich was shared with the crew off-set. It was exciting! It provides loads of inspiration. I plan on hitting more food themed shows really soon. I am sure that the crew is extremely well fed. 😉 Thanks for reading! Thank you for reading, it means a lot. 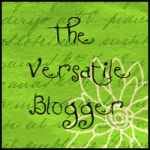 Helps me feel more inspired to know that there are people out there “tuning” in to my blog.